Sophisticated CT scanning technology normally used by researchers from WMG at the University of Warwick to assist high tech manufacturing, has helped uncover the existence of a rare silver coin called an ‘Indio’ discovered by archaeologists investigating a shipwreck off the coast of Oman. 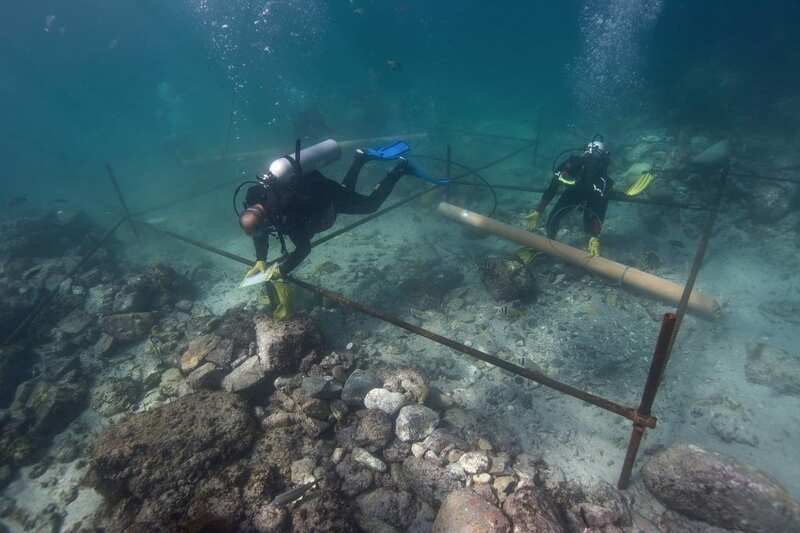 Over 2,800 artefacts were found in the wreck, including a bronze bell with an inscription dating back to 1498, gold coins from the era and an important bronze disc embossed with the “esfera armilar” — a personal emblem of Dom Manuel I, the then-king of Portugal. There is only one other known example of índio coin in the world, which is held within the numismatic collection of the National Historical Museum of Brazil (MHN) in Rio de Janeiro. Despite the existence of the MHN specimen, the índio, because of its extreme rarity, has assumed legendary status within the numismatic community of Portugal as the ‘lost’ or ‘ghost’ coin of Dom Manuel I. To ensure correct identification of the índio recovered from the site, the block within which it was contained was CT scanned at WMG, University of Warwick using the 225kV head of the Nikon CT scanner, which provides 16-micron resolution. Even with such relatively poorly preserved coins the resulting scans clearly revealed the same coat of arms and legend on the obverse matching the MHN specimen as well as the detailed description of the same coin that featured in a 1910 auction catalogue from Amsterdam. Another of the artefacts found on the wreck site was a small ship’s bell. The bell was discovered beneath a boulder at a depth of just 4.3 metres where it had been for the past 510 years. 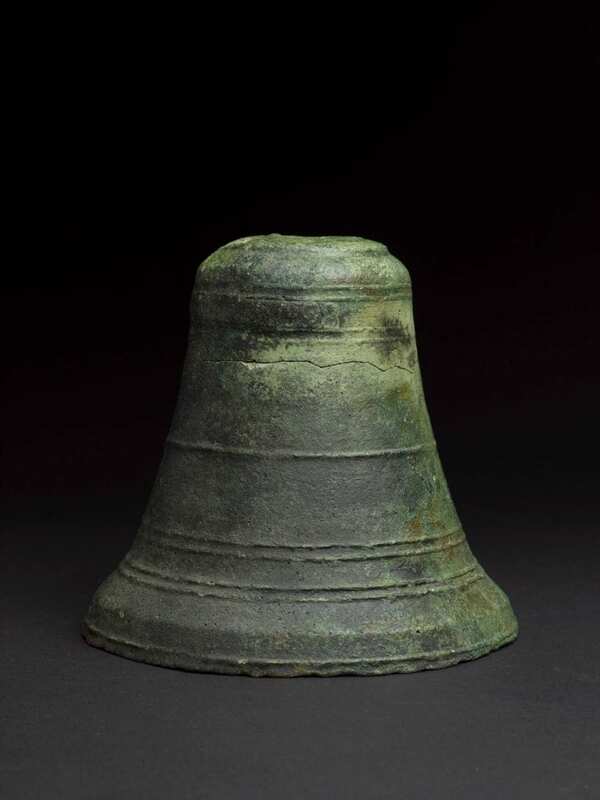 The bell, despite being fractured in two pieces, appeared to have a raised inscription just below the shoulder containing letters and numerals that might be a clue to the identity of the ship. The problem, however, was that the inscription was barely visible beneath a thick layer of corrosion crust. The only way to decipher what was written in the inscription without physically touching or harming the bell was by X-raying it, the bell was taken to WMG, University of Warwick. At WMG Dr Jason Warnett used non-destructive high-resolution imaging of the bell using their Nikon Metrology 320kV micro-focus X-ray (64 micron resolution) for computed tomography (CT). By CT scanning the bell before any conservation treatment was performed it was possible to reveal minute details within the inscription. Thanks to the powerful 320kV X-ray source being able to penetrate the crust the internal details were revealed. The CT scanning consisted of multiple 3.5-hour scan cycles, consisting of 3,142 individual X-ray projections. Different orientations of the bell were necessary to achieve optimum penetration whilst minimizing unwanted X-ray scatter that would obscure characters in the inscription. The scans revealed an ‘8’ and an ‘M’ that were barely visible to the naked eye. The next scan clearly revealed a ‘9’ to the left of the ‘8’, and then a final scan revealed a less apparent ‘4’ to the left of the ‘9’. 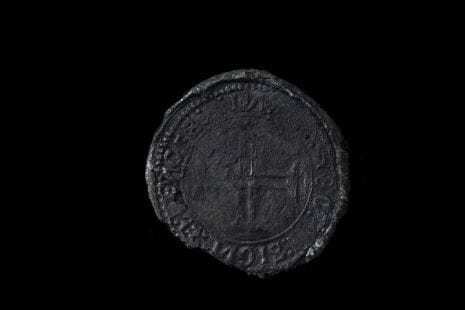 Although no other letters could be made out in addition to the ‘M’, this non-destructive imaging indicated that the inscription included a date (‘498’) that was chronologically correct with the known history of the ships squadron, which had left Lisbon in 1502.